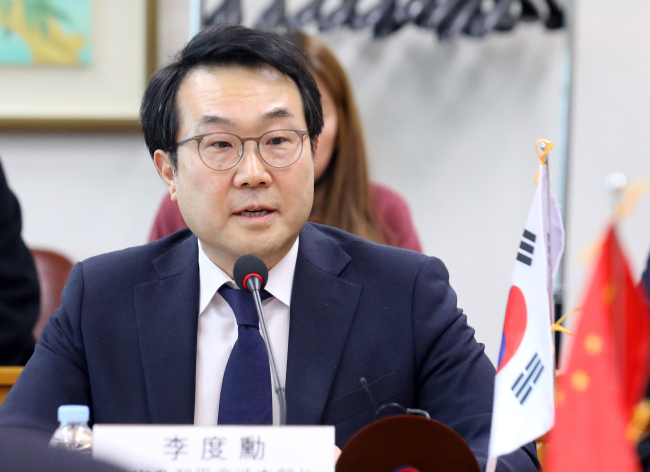 South Korea’s chief nuclear envoy appears to be on his way to Sweden for a possible meeting with a senior North Korean official, a diplomatic source said Friday. North Korean Vice Foreign Minister Choe Son-hui earlier headed to the Swedish capital from Beijing. There’s a possibility that Stephen Biegun, Washington’s special representative for Pyongyang, will visit as well. “Either bilateral or multilateral meetings can be held if all the three officials are present there,” the source said. It would depend on the results of high-level negotiations to be held in Washington DC this week. Kim Yong-chol, known as a right-hand man to leader Kim Jong-un, flew into the city earlier Friday. He’s expected to meet Secretary of State Mike Pompeo the following day, although the two sides have yet to announce a schedule.